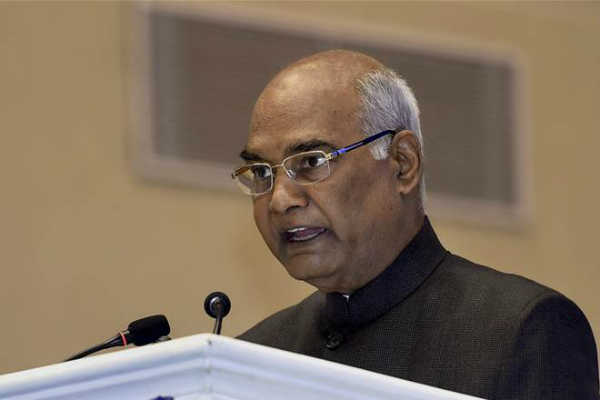 The President of India, Ram Nath Kovind, was the Chief Guest at the International Nurses Day celebrations organised by the Ministry of Health and Family Welfare (MoH&FW) at Rashtrapati Bhawan recently. At the function, JP Nadda, Union Minister of Health and Family Welfare conferred the Florence Nightingale Awards to 35 nurses from across the country in presence of Ashwini Kumar Choubey, Minister of State for Health and Family Welfare and Preeti Sudan, Secretary (Health). The President congratulated the award winners and said that the awardees display India’s unity in diversity. He further stated that nursing plays a very vital role in keeping the country healthy. “Any nurse, in a remote village, who is helping a person fight a serious illness, is a nation builder,” the President said. The President also appreciated the Health Ministry for its efforts and initiatives to improve and enhance the nursing education in the country. The President stated that in the past few years, the number of institutions for nursing education has increased. As a result, the number of registered nurses and other health workers had crossed 27 lakh till March 2017. MoH&FW, Nadda congratulated the award winners and appreciated their exemplary services. Acknowledging the strong caring and compassionate attitude of the nursing community, the Health Minister said that we are proud of all the winners and wish that they will be an inspiration for all the nursing personnel in the country and motivate them to provide quality nursing services and standards. Speaking at the function, the Health Minister stated that the Government strongly believes that health is a human right. “This belief was the cornerstone for genesis and introduction of world’s largest healthcare scheme- the ‘Ayushman Bharat’, by Prime Minister, Narendra Modi, earlier this year,” Nadda said. Stating several initiatives of the Health Ministry, Nadda said that the Health Ministry has approved and rolled out the curriculum of nurse practitioner programmes developed by Indian Nursing Council (INC) and has initiated the development of a technology platform called the Indian Nurses Live Register in collaboration with INC and development partners, which would help the Government for optimum manpower planning and making policy level decisions for the nursing professionals in India. He also appealed to nurse leaders in both education and service sectors to train nurses to deliver world’s best quality education and nursing care based on educational and practice standards of INC and in line with regional, national and global health needs. Nadda further said that the Government is committed to developing the capacities of healthcare professionals, especially nurses by; establishing nursing schools in every large district or cluster of districts with about 20- 30 lakh population, improving the quality of nursing education, developing specialised nursing training courses, establishing cadres like Nurse Practitioners and Public Health Nurses and rolling out Nurses Registration and Tracking System (NRTS). Florence Nightingale awards were instituted in the year 1973 by the Government as a mark of recognition for the meritorious services rendered by nurses to the society. These awards are given on 12th May every year. A total of 35 awards i.e. 20 for Nurses, 12 for Auxiliary Nurse Mid-wives and 3 for Lady Health Visitors are being awarded to outstanding Nursing Personnel. The award carries a medal, a certificate, a citation certificate and Rs. 50,000/-in cash to each of the awardees. Also present at the award ceremony were, Arun Singhal, Additional Secretary (Health), Sanjeeva Kumar, Additional Secretary (Health) and Dr RK Vats, AS & DG (CGHS) along with other senior officers and invitees.